The $500 Million Dollar Trick. Would you like to know their trick? Go see the movie when it comes out then! The film will hit theaters on May 31, 2013. 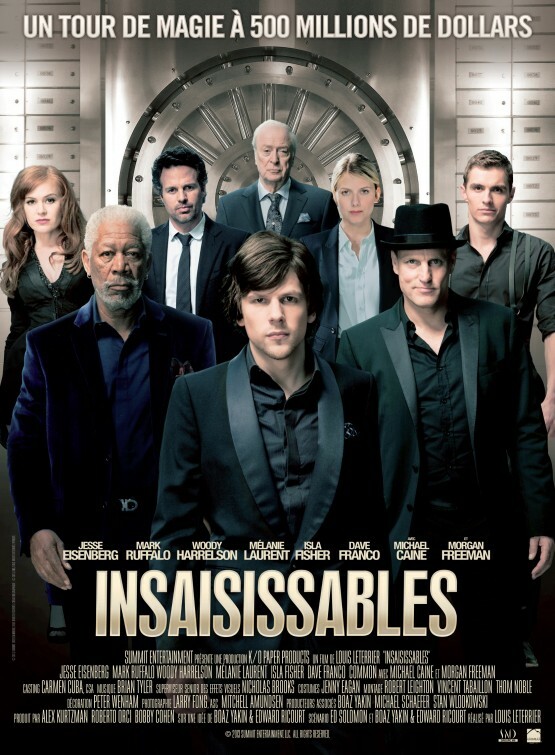 Now You See Me Movie Trailer – A movie directed by French Filmmaker Louis Leterrier. 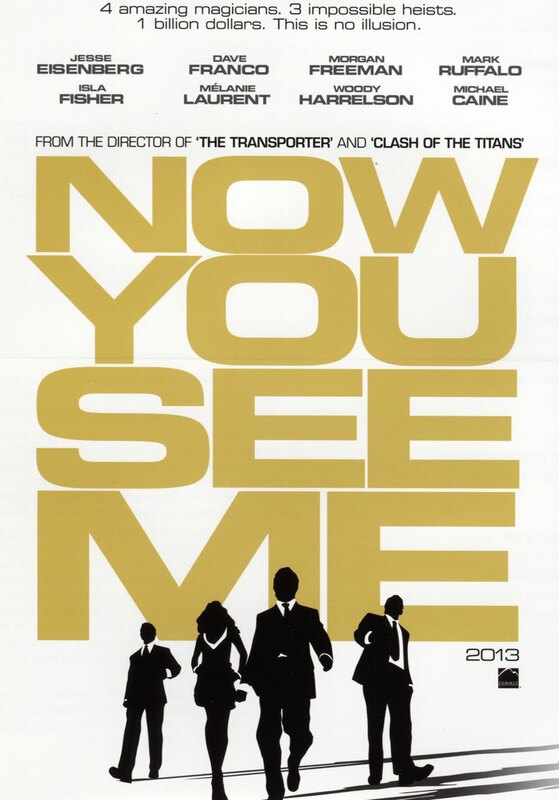 Now You See Me – The closer you look the less you see. “An FBI agent and an Interpol detective track a team of illusionists who pull off bank heists during their performances and reward their audiences with the money. Will you go see this film when it will come out in theaters? The closer you look, the less you’ll see. The film is starring Jesse Eisenberg, Mark Ruffalo, Woody Harrelson, Melanie Laurent, Isla Fisher, Dave Franco, Common, Michael Kelly, Michael Caine, and Morgan Freeman. 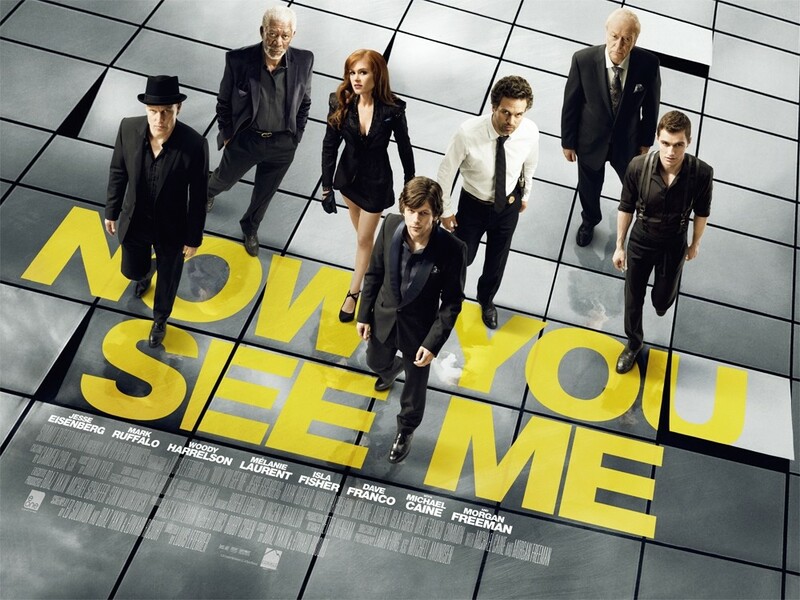 Do you think there are elements of fantasy or science-fiction in the movie Now You See Me? Or is it just all smoke and mirrors, plain rational stage magic? So Jesse Eisenberg is playing a character combining Houdini and Robin Hood? Well, I do want to see this film! Do you think there’s real magic or hard science behind the show? Anyway, the release date of Now You See Me is set for June 7, 2013. 4 amazing magicians, 3 impossible heists, 1 billion dollars: this no illusion! The film is directed by French Filmmaker Louis Leterrier and is starring Jesse Eisenberg, Dave Franco, Morgan Freeman, Mark Ruffalo, Isla Fisher, Melanie Laurent, Woody Harrelson and Michael Caine. 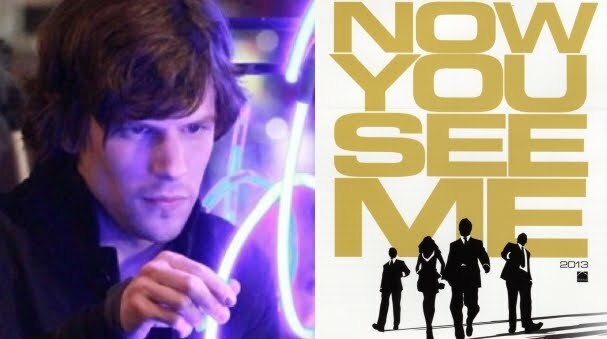 The release date of Now You See Me is set for January 18, 2013.